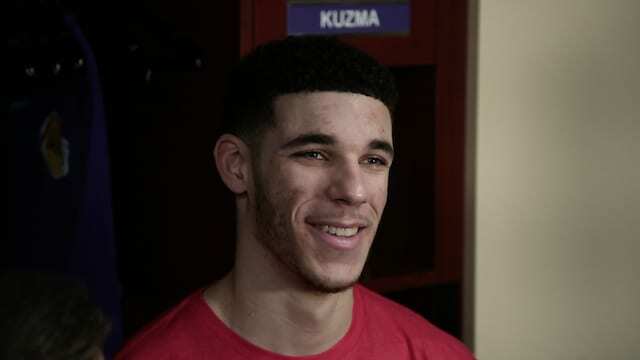 Los Angeles Lakers rookie Lonzo Ball recorded his second triple-double of his NBA career with 11 points, 11 assists and 16 rebounds in their win over the Denver Nuggets on Sunday night. 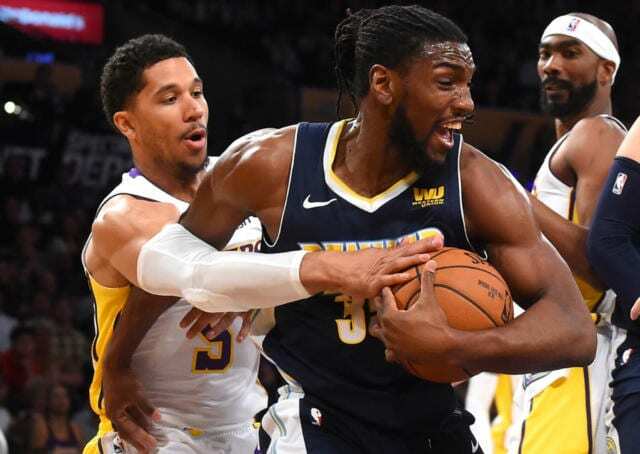 His 16 rebounds are the most by a rookie guard in over 17 years, and Magic Johnson is the only other Laker to record multiple triple-doubles in his first year in the NBA. On top of that, LeBron James became the youngest player in NBA history with multiple triple-doubles when he recorded his second at 20 years and 23 days old, and today, Ball is 20 years and 23 days old. Ball’s second triple-double came just eight days after his first, and Ball needs just five more to match Magic with his seven triple-doubles in his rookie season. Getting lost in all the Ball talk, Julius Randle had his best statistical game of the season, finishing with a team-high 24 points, to go along with seven rebounds and five assists. Head coach Luke Walton says that if he can play like he played tonight, he’s as good as anybody in this league.